(NaturalNews) Tooth aches can be an enormous pain in the "mouth". From sitting at your desk constantly massaging your mouth to laying on the couch at night throbbing in pain, toothaches can really put a dent in your daily routine. The causes behind toothaches are many: cavities, enamel erosion, periodontis, teeth grinding, sinus pressure, the list goes on. While toothaches generally will not disappear completely without receiving proper dental treatment, there are a few home remedies that can help ease your pain in the meantime. Per Arizona Family Dental, here are five of the best all-natural remedies for treating toothaches. Clove oil has been used as a home remedy for centuries. Containing a natural anesthetic, eugenol, clove oil has distinct numbing properties that can help relieve minor topical pain. To treat a toothache, drip two drops of clove oil onto a cotton ball, and apply it to the throbbing tooth. Let it sit for about 10-15 seconds, and then remove the cotton ball, and re-apply as needed. While clove oil will not cure the toothache entirely, it can provide temporary relief and can be repeated as many times as needed. Peppermint tea bags are also a great natural alternative to treating toothaches. Similar to clove oil, peppermint contains natural numbing properties that have popularized its use as a treatment for sensitive skin. To treat an aching tooth, place a peppermint tea bag in the refrigerator or freezer until cold, and then apply the cooled tea bag directly on the area in pain for 20 minutes. While pain will most likely return soon after treating the affected area there is "anecdotal evidence that tea bags can lessen the pain." 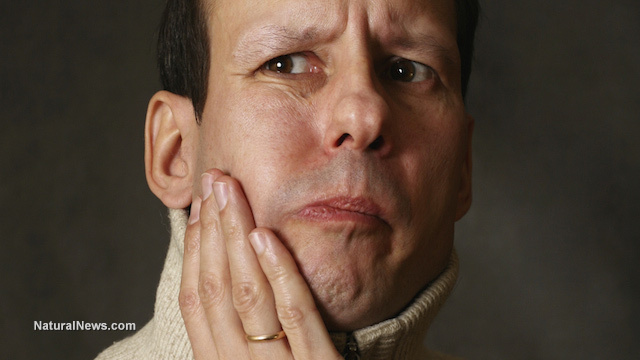 Additionally, salt water cleanses have been revered as a highly effective home remedy to treat toothaches. Known for their natural cleansing characteristics, salt water cleanses can help loosen debris in your mouth, and clear out any harmful bacteria surrounding the affected area. To treat an aching tooth, swish a small amount of water or saline solution in your mouth for 30 seconds at a time, and then spit out the remains. For optimal results, repeat one to two times. Another one of the most popular old wives tale remedies to treat toothaches is rubbing bourbon-soaked cotton ball on the throbbing tooth. Like most alcohols, bourbon has natural numbing properties that can provide immediate relief to mouth sores and pains. To treat a toothache, pour a touch of bourbon on a cotton swab ball, and cover the aching tooth with it for thirty seconds at a time. The bourbon's natural numbing properties will provide a few minutes of immediate relief to the aching area, and will last as long as it takes for the alcohol to evaporate. Lastly, garlic cloves have been highly touted as an all natural remedy to treat toothaches as well. Acting similarly to an antibiotic, garlic can inhibit the growth of bacteria attacking your tooth, and provide immediate relief. There are two general ways to use garlic's superfood qualities to help treat your tooth ache. First, mash together a clove of garlic with a touch of salt until the mixture creates a thin paste. Then apply the paste to the area of pain, and repeat two to three times a day. Second, place one to two whole cloves of garlic in your mouth and chew. The garlic's natural antibiotic properties will help ease your pain temporarily while simultaneously giving your taste buds something to distract your mouth from the sensation of pain. Only thing you'll have to worry about is bad breath for the rest of the day. The best part is that you can even grow your own herb garden right at home! Gardening kits, like the Mini-Farm GrowBox make it easy and convenient to grow your own herbs.